Project Koru’s Mindy Buchanan has resigned from her role as Program Director to pursue national advocacy and policy work in the adolescent and young adult cancer space. Mindy joined Project Koru in 2015 from OHSU / The Knight Cancer Institute. While at Project Koru, she developed and executed the This is Life program -- a workshop-based weekend event for cancer survivors to build a toolkit for facing their new normal in a variety of areas in life -- finance, career, parenting, relationships, insurance, exercise & nutrition, after-effects and much more. Fully committed to the mission of helping young adults move forward after cancer, she developed core processes and outcome measurement tools for all Project Koru programming. Building a system for measuring experiential-based impact was a long process, and Mindy paved the path to make it happen. Mindy’s thorough understanding of the cancer journey from a view of psychosocial support helped her develop a Wellness Guide role for Camp Koru, an integral support role for camp. Her deep understanding of navigating resources of the healthcare system helped Project Koru strengthen relationships and outreach with oncologists, social workers, and cancer centers across the country. Project Koru’s co-founder Tonia Farman resides to lead as CEO, bringing in Lindsey Walkemeyer as Project Koru’s new Program Coordinator. No wind, no matter - KB4C brings community and stoke to the 12th Annual event! What an incredible Kiteboarding 4 Cancer we had! Despite having nearly zero wind for the first time in 12 years of this event, we still raised over $197,000 (and still counting) for Project Koru, and pulled off the first ever No-Wind Derby in North America! We learned this weekend that the Patagonia Kiteboard 4 Cancer is much bigger than kiteboarding. This event brings together an incredible community in celebration and support for a great cause no matter what the conditions. Hundreds of participants traveled from around the country to be in Hood River for the event. With a poor wind forecast and blazing heat, people still purchased registration up to the last minute and fully supported the event -- attending the live and silent auctions, signing up for water floaty races, scoring some incredible gear at the raffles and packing the house at the Friday night Full Sail Kickoff Party at the Ruins in Downtown Hood River. The Friday night kickoff party at the Ruins in downtown Hood River. A huge thank you to all of you who participated over the three days in the blazing heat - whether you registered as an athlete, participated in the live & silent auction, kicked it at the Friday night party, put your $ in for the Sunday raffle or just drank beer! Congratulations to Fred Hope for going out and foiling 20 laps in the lightest conditions ever for the win, and to our own Camp Koru alum Xan Harwood-Karlik for paddling the course and getting a lap in himself! Thank you to all of our cash sponsors for making it possible for us to run KB4C: Patagonia, Full Sail Brewing Company, Doug's Sports, Evergreen Home Loans, Columbia Pain Management, Tonkin Subaru, Airush Kiteboarding, Slingshot Kite, Naish USA, CORE Kiteboarding, KYLA Kombucha, Gorge Greenery, Providence Hood River Memorial Hospital, Cabrinha Kiteboarding, Liquid Force Kites, Ferment Brewery, WOO Kite, Duotone Kiteboarding, Ombraz Sunglasses, and Patagonia Provisions! 📷 Richard Hallman thank you for your beautiful photography as always! You can download or purchase Richard's shots here for your memory book! Camp Koru Alumni came from all over the country to be at Kiteboard 4 Cancer! The KB4C Big Sunday Raffle! Polor Expo - A fun hipster package of hipster-like things by cool hipster brands! The XR2 by CORE has massive performance for unprecedented jumps with endless hangtime and is comfortable and easy to ride. 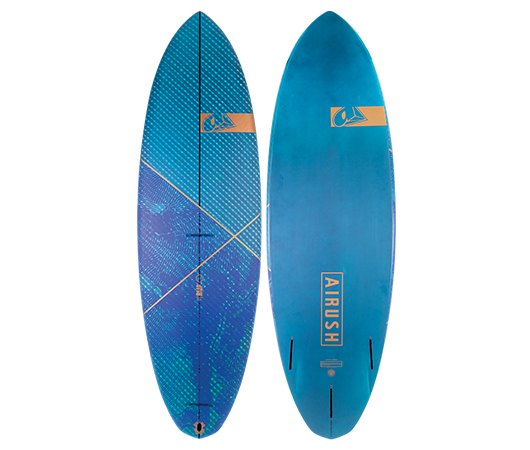 The AMP II was developed directly from Airush's favorite dedicated all-round surf shape, combining a flat rocker for high speed and control, with a higher curve outline to optimize the maneuverability. Cascade Kiteboarding Lesson Package for Women: Beginner kiteboarding lesson, Dakine Women’s Wahine waist harness, growler, and hat. SUP, Fit & Hydrate - Riviera SUP Paddle Bag, Hydration Pack, a box of RX bars, a Project Koru water bottle, and a 2 hour SUP rental from Big Winds. Patagonia KB4C Kit - Stormfront Rolltop Pack with a box of Patagonia Provisions Bars, and a KB4C tee shirt. 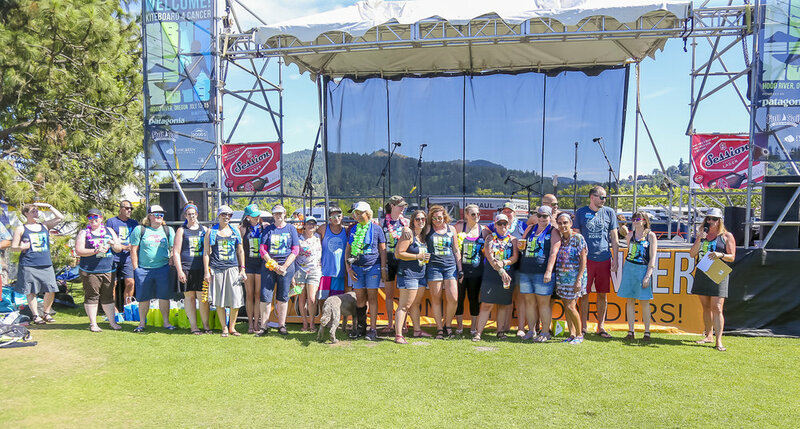 At Camp Koru, we so often hear our campers say, "Non-survivors don't get it," meaning those of us who've never had cancer don't understand survivorship...and the challenges that come with it. That lack of understanding by friends and loved ones is a burden. It can not only make survivors feel isolated; it also burdens them with having to explain their challenges - to give examples or try to find the words that just don’t do the feeling justice. Our CEO, Tonia Farman, will be leaving Project Koru in May. Here is her inspiring letter that shares the why behind that decision.